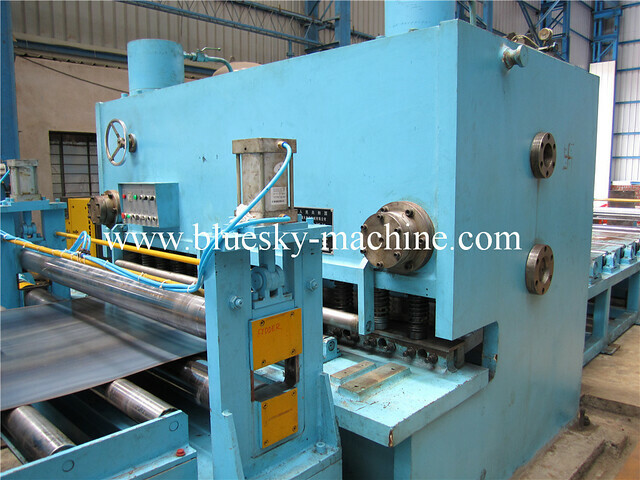 Cut To Length Machine China Wuxi Manufacturers For Sale In India Pune.Provide Best Services. 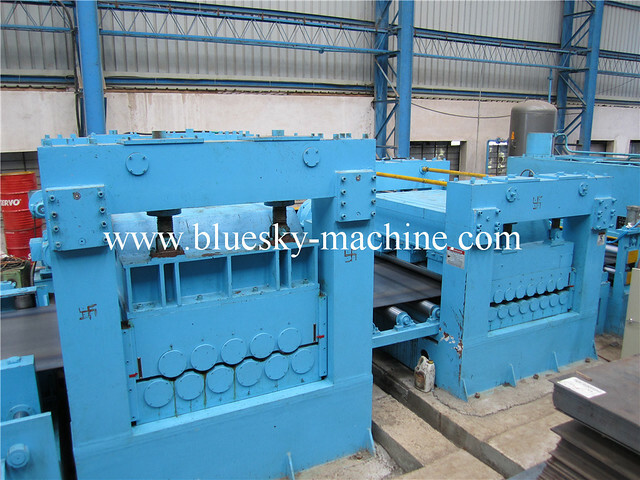 Cut To Length Line Machine BSCL (1.0-13)x2000mm China Wuxi Manufacturers For Sale In India Pune.Provide Best Services. It’s composed of engine base, lifting oil cylinder, transverse motor, guide pillar, and platform. Coil car traverse driven by hydraulic motor, lifting by hydraulic cylinder, four pillars guide, and V-shaped supporting platform. 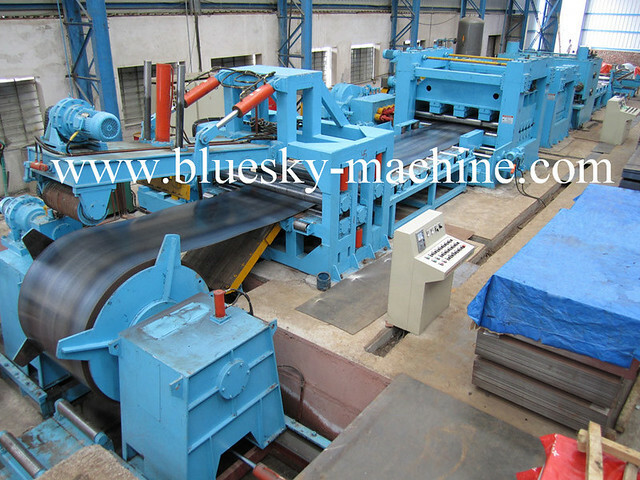 The function is to load coil material to mandrel of uncoiler. Use hydraulic double-cone structure to clamp coil, 2 engine bases on both sides moving by hydraulic cylinder, can centering at the same time. 2 shaft ends with pneumatic disc brake. Composed of engine base, hydraulic snubber roll, hydraulic shovel, hydraulic leveling coil head, and mechanical peeler coil entry unit. 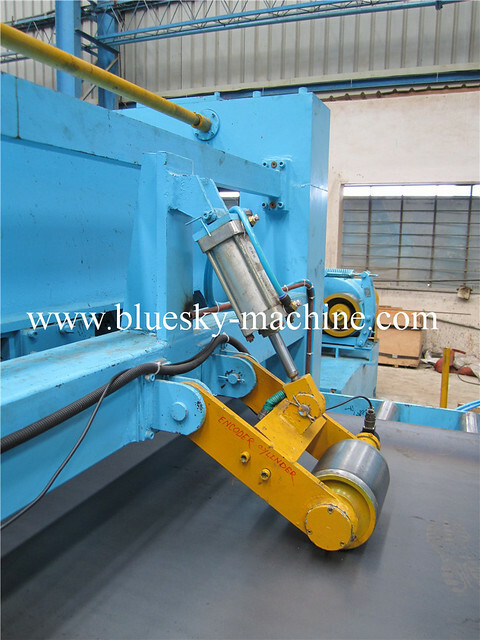 Process: hydraulic cylinder driven, snubber roll to hold down coil, cut packing string, peeler coil entry guide coil head to shovel (shovel lift, stretch by hydraulic cylinder), leveling coil head by hydraulic cylinder, into feeder by peeler coil entry. All units back to reset condition by hydraulic cylinder. With 2 nos. pinch rolls,2 nos. 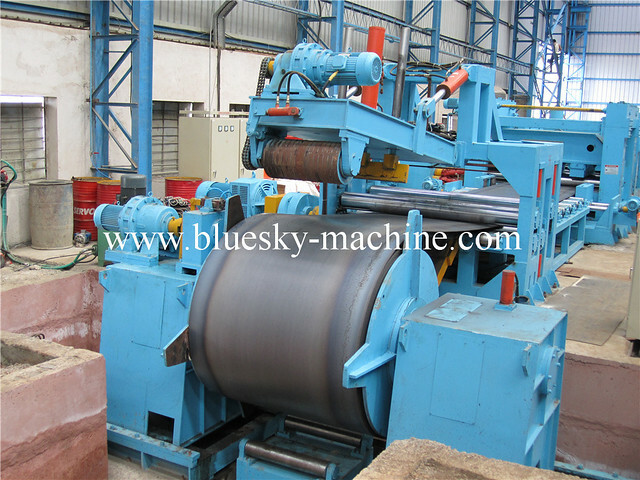 leveling rolls,Composed of base,pinch rolls,rough leveling rolls,hydraulic unit & power unit.Upper pinch rolls & leveling rolls adjusted by hydraulic cylinder. 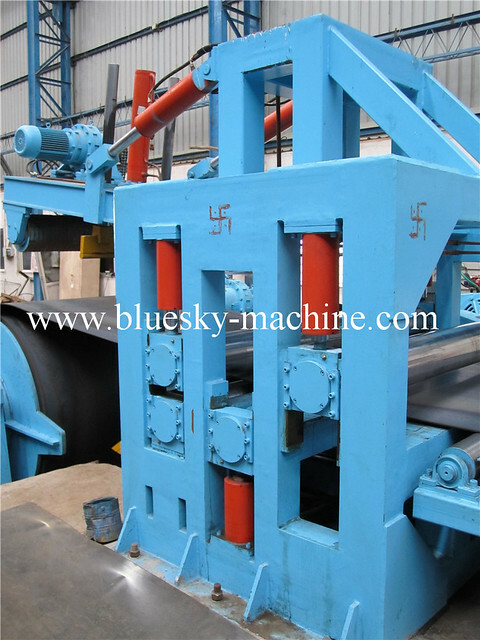 For the purpose of leveing coil end & into leveler. Composed of rack, roller, and plate, the function is to convey sheets. (2) Roller qty. : 6 nos. Regulate sheet into main leveler. Composed of frame, side guide roller, holder slide, vertical roller and adjusting device. Vertical rollers are mounted on both sides, fixed on each slide. Slide moved by hand wheel with feed screw nut to adapt different strip width. Manual adjust. 4 hi. structure, welding base, entire frame, 11 leveling rolls. Double needle bearing & single direction thrust ball bearing for each working rollers shaft end to guarantee without any radial direction & axial movement. 3 sets back-up rollers for both upper and lower working rollers to increase intensity & rigidity. 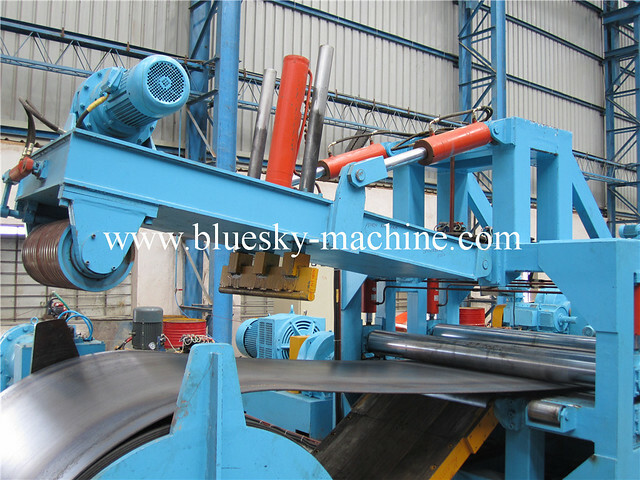 The height of back-up rollers adjusted by wedge, to obtain deflection compensation of leveling roll. Each working roll with power, motor transmits power to each roll through reducer, dispenser, and universal coupling. 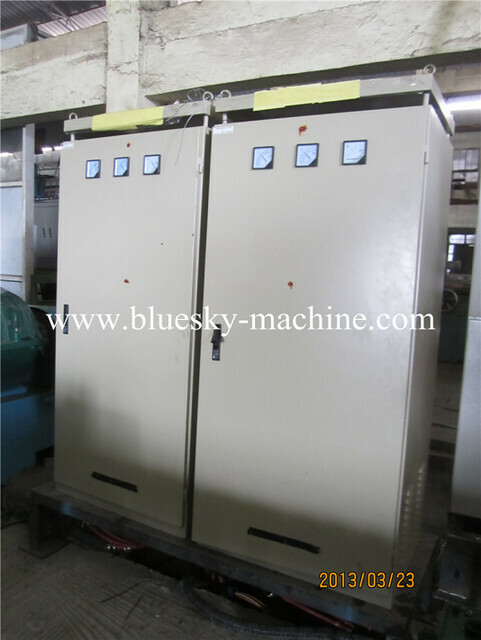 Screw down device up & down, and angle adjustment by worm adjust unit with AC motor, both motorized and manual. with length 1m between leveler I and leveler II. .help sheet to move from precision first straightener to precision second straightener.Designed as movabale hinge structure for convenient maintanence and adjustation for straightener. 4 hi. Structure,welding base,whole frame,11 nos.working rollers(upper 5/lower 6),double needle bearing & single direction thrust ball bearing for each working rollers shaft end to gurantee without any radial direction & axial movement.3 sets back up rollers for both upper and lower working rollers to increase intensity & rigidity. 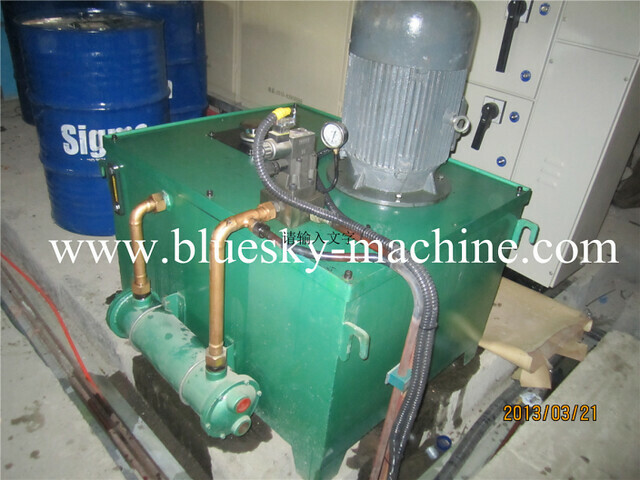 Motor with reducer,dispenser,universal couplings lead upper and lower rollers to work,that is drive system. Up & down, angle adjustment by worm adjust unit with AC motor.both motorized and manual. Composed of engine base, supporting roll, to length roll, encoder and drive device. To length roll hold down by pneumatic, and it sends signal to display through rotary encoder to control shearing. 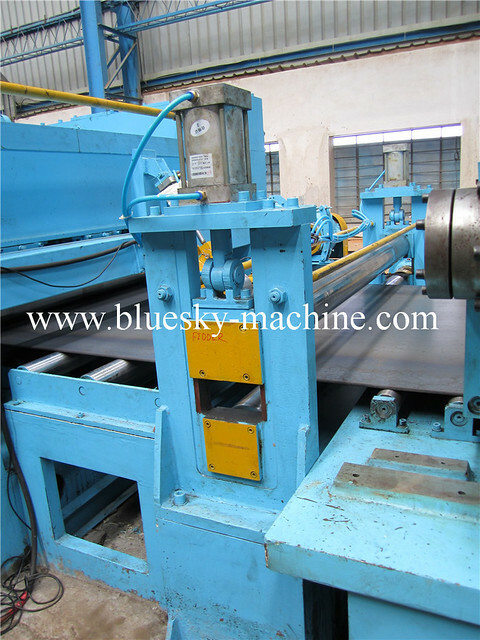 Composed of frame, swing roller worktable, roller worktable and power unit, the function is to convey sheets to shedder. 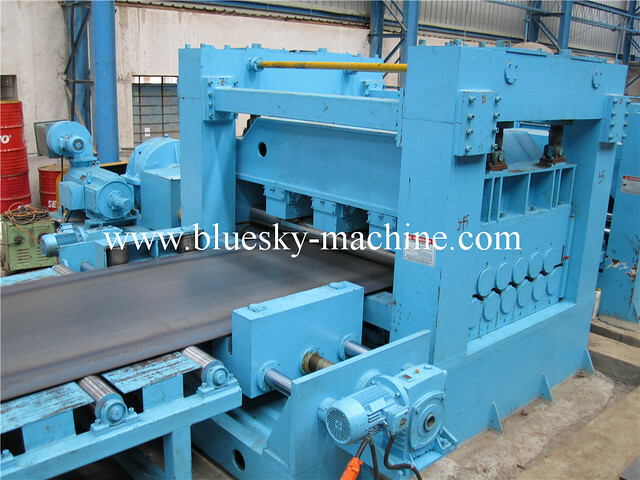 Composed of engine base, slide, feeding roll, and power unit, upper feeding roll pneumatic elevating, mechanical drive, the function is to convey sheets to material platform. 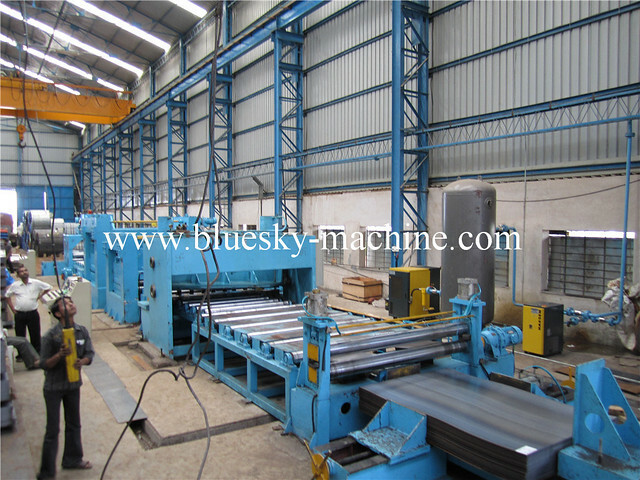 Profile steel & plate welded, the function is to storing sheets, length 12m. Composed of 1 set longitudinal stacking device & 3 sets transverse stacking devices, stop gear & stacking device can be adjusted as per different plate width, manual adjust. Pneumatic stacking. 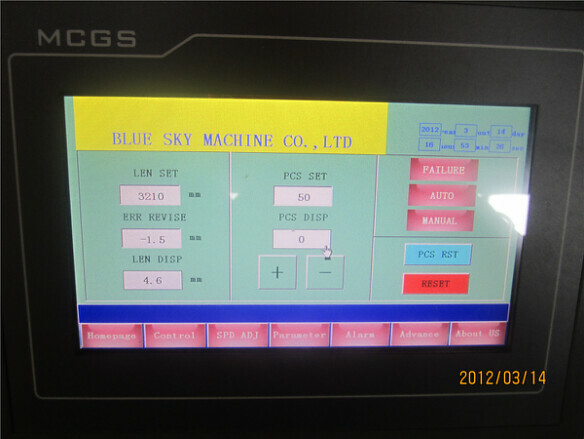 (1) Hydraulic system composed of hydraulic control station and accessories. Hydraulic pump use Taiwan HongTai vane pump, and hydraulic components all from Taiwan LiTian (Rexroth), sealing ring from Taiwan DingJi.